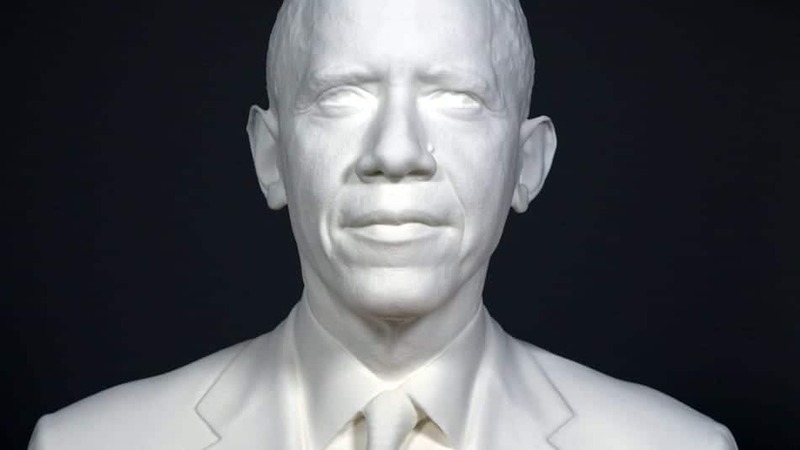 The Smithsonian Institute revealed the first ever 3D printed sculpture of a U.S. president last week, adding to the collection of Barack Obama portraits in the National Portrait Gallery. The bust was on display at the White House Makers Faire, an event celebrating the use of technology in creative enterprises. A team of Smithsonian 3D digital-imaging specialists scanned the president earlier this year. They used the University of Southern California's Light Stage face scanner to capture Obama's face in high resolution, and handheld 3D scanners and SLR cameras to create a reconstruction of his bust. Next, experts in 3D graphics at the software company Autodesk produced high-resolution models, which were printed using 3D Systems' selective laser sintering printers. The bust comes as part of the Smithsonian Insitute's X 3D initiative which began in 2013. Aimed at using scanning and imaging technology in order to make artifacts more available to researchers, the X 3D scans can be found online and anyone with a 3D printer can print their own.